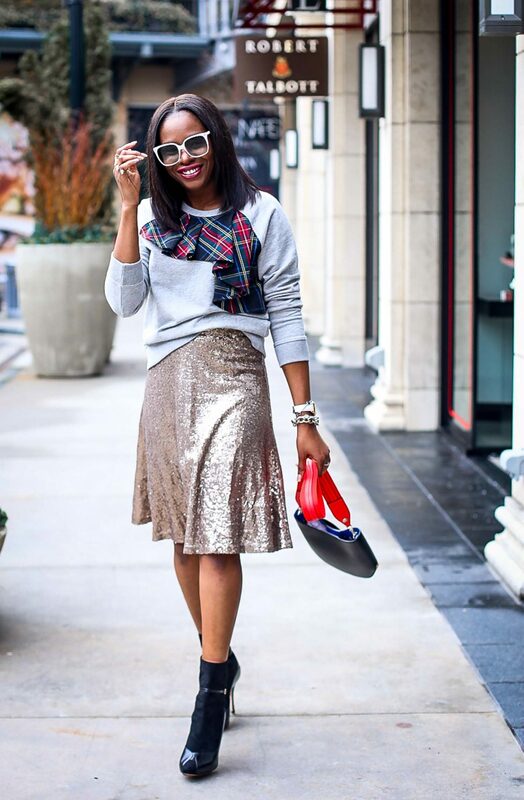 PLAID SWEATSHIRT ALMOST SOLD OUT, ALSO LOVE THIS VERSION (HERE) | SEQUIN SKIRT ON SALE FOR 49.99 PLUS 50% OFF! $24.99!| SUEDE BOOTIES | MULTI-COLOR CROSS-BODY BAG | WHITE SUNGLASSES ONLY 1 LEFT IN WHITE! Sweatshirts are casual by nature. The silhouette of the shirt is loose, and the fabric is slightly heavy. It is made out of cotton and is typically made for leisure. Recently designers started adding a bit of a feminine touch, making the silhouette slightly slimmer, and adding feminine details such as ruffles, and bell sleeves. To dress-up your shirt or to make it look chic, you simply need to pair it with the right bottoms. 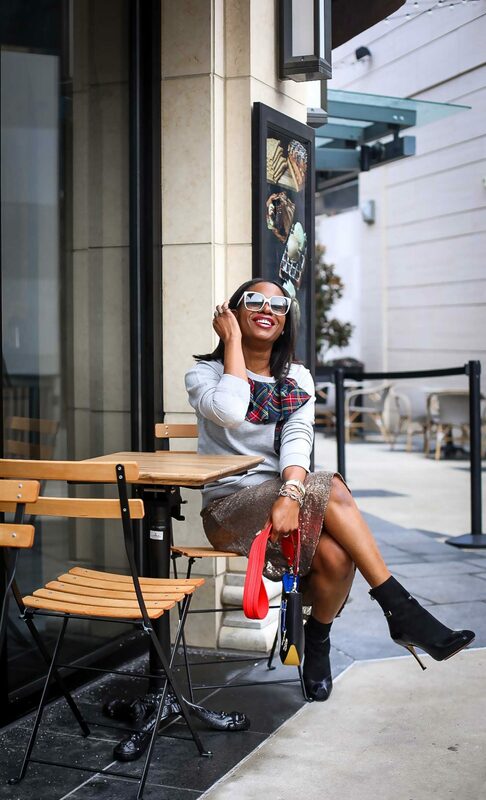 Over the season we have seen sweatshirts paired with dressy bottoms such as high waist wide leg pants, tuxedo pants, pencil skirts and more. I paired mine with a sequins skirt. The sequins material does an amazing job of dressing up the look, instantly changing the vibe of the shirt. 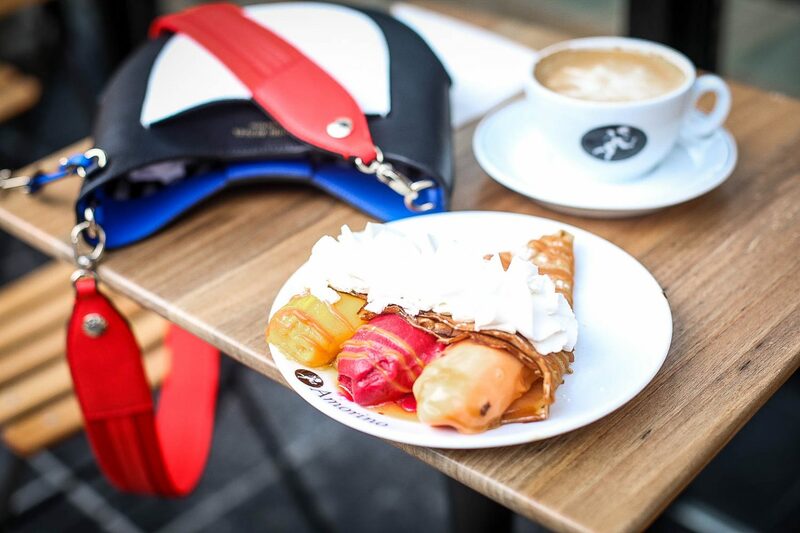 To balance the casual and dressy pieces of this look, I introduced a casual yet colorful bag to the outfit. I also added dressy booties to compliment the skirt. 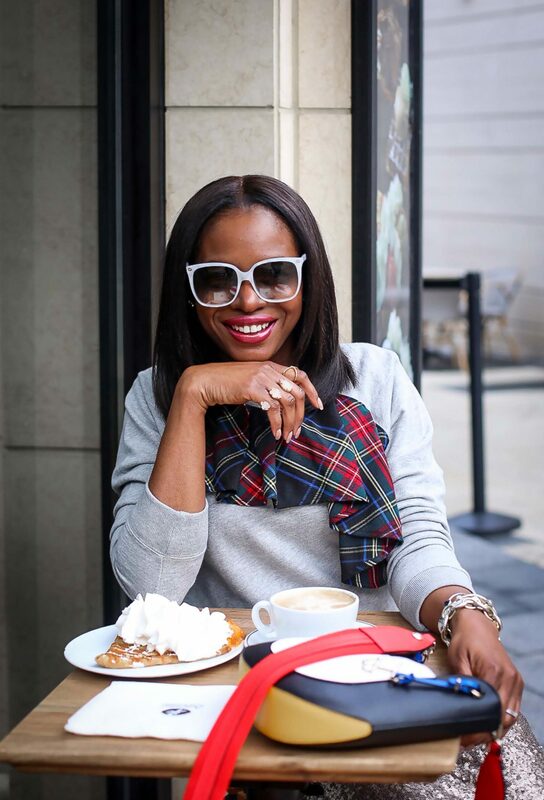 The key to nailing this style is to be aware of the pieces you pair your sweatshirt with. Use color, and texture as your directive. Select more luxurious fabrics such as satin, velvet and sequins, and silhouettes that are dressy such as high waist wide-leg pants to dress up the look. 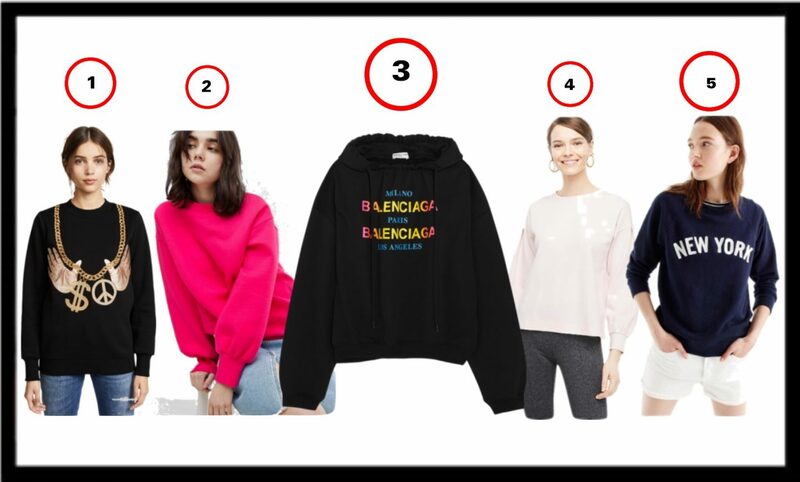 5 Fab Sweatshirts I love and more!